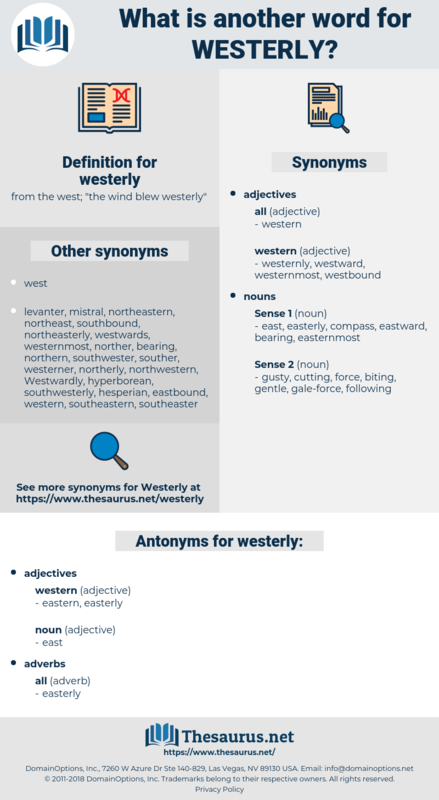 What is another word for westerly? 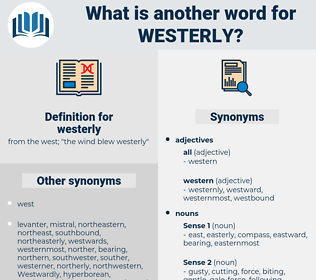 from the west; " the wind blew westerly"
He done very well, I'm told, what with the legs he had, an' was hard at it when the wind changed to a westerly gale an' drove the ice t' sea. Both in February and March were westerly storms, such as had not been recorded even on that tempest - swept coast for twenty years, and so much damage was inflicted on the precious Sand Hill and its curtain, that, had the enemy been aware of its plight, it is probable that one determined assault might have put him in possession of the place.